□ Large-screen color software interface, clear and direct-viewing inoperation, bright in appearance and smart in performance. 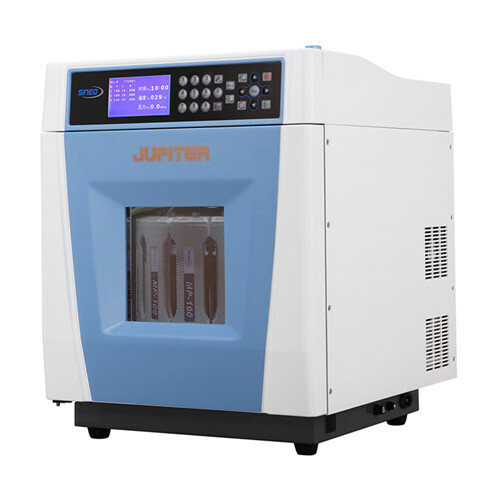 With more than 20 years experience inmicrowave chemistry instrument industry and the latest industrial technology,JUPITER series high throughput closed microwave digestion/extractionworkstation created can be widely used in routine laboratories and speciallyapplied under extreme conditions. The highest level of security measuresadopted such as the use of aerospace composite fiber vessel and safety bolt(patented), simple and smart operating software and the use of high-qualitymaterials such as corrosion-resistant ultra-long life industrial chamber showthat our company is always striving for perfection and makes breakthrough intechnology, process and materials. 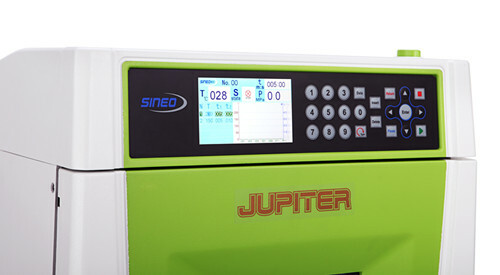 JUPITER series microwave digestion/extractionworkstation, integrated with the latest industrial technology and materials seta new example in the company, which together with MASTER series, forms thecompany's complete product line to meet the needs of various industries andstrive to provide customers the safety, convenient, efficient, durable productsand experience. □	The outervessel of JUPITER exclusively made by ultrastrength aerospace composite fiberis invincible in anti-explosion, and its performance indicators such ascorrosion resistance, high temperature/impact/pressure resistance are far betterthan that of the widely used modified PEEK engineering plastics vessel (thismaterial is fusible at high temperature, fragile at high pressure and explosiveby chemical corrosion)，fundamentally eliminating safety risks tooperator in use. □	Quantified vertical blast/safety bolt design, ensures samples be closed completely and triggera quantified pressure relief while over pressure; safety bolt (patent) unit,instead of safety membraneand other consumables, ensure the digestion vesselbe sealed completely under normal working conditions. And only when thepressure is large enough and may constitute a danger to the safety, the safetybolt will automatically blow out vertically and the cover auto-up to releasethe pressure, achieving quantified vertical blast pressure-relief to guaranteeits well operation. Under normal operation, the safety bolt won’t blow out andrequires no replacement. In addition, it is easy for venting to open the coverafter completion of digestion. 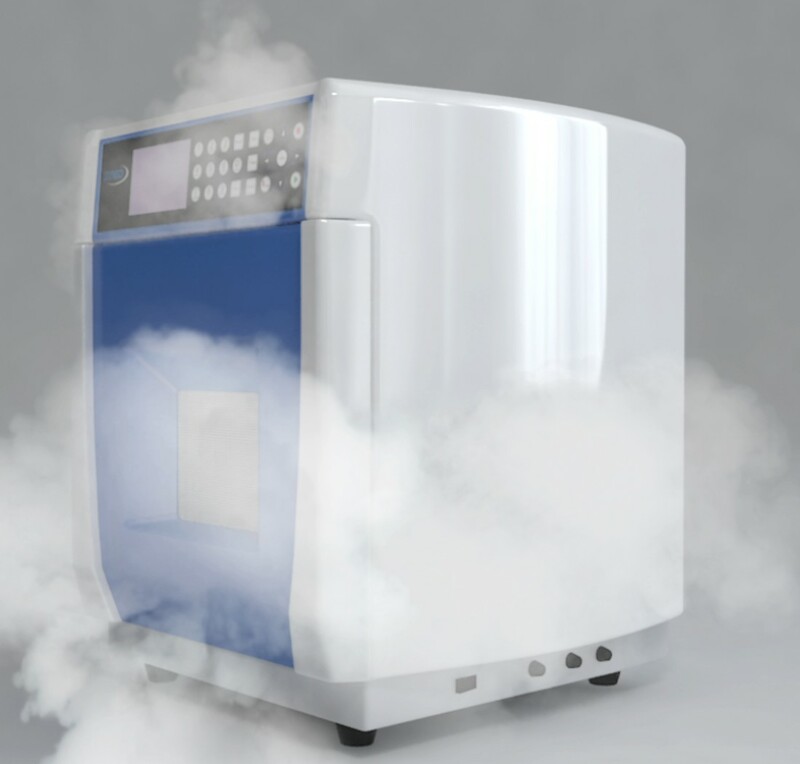 The industrial-leading pressure measuring technology by piezoelectric crystal andhigh-precision Pt sensor temperature measurement and control, throughclosed-loop control of microwave power by inverter technique, ensure theaccuracy of pressure and temperature monitoring and control. The application ofpatented piezoelectric crystal brings about complete isolation of samples frompressure measurement system in digestion process, thoroughly solving theproblems of cross contamination of samples due to commonly used air pipe inmarket and of the limitation in digestion samples because of low-pressure proofof air pipe. 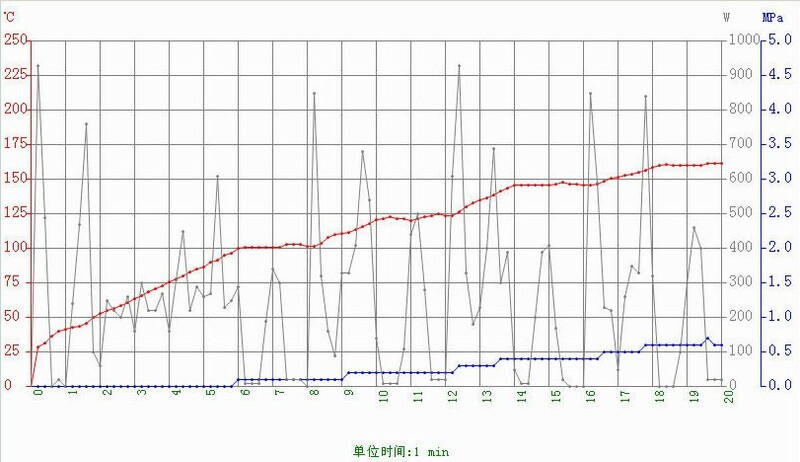 □	Automatic Frequency Control of Non-pulse Microwave Power ensuresthe accurate closed-loop control of the temperature and pressure, and alsoimproves the efficiency of microwave transmitter of magnetron. 12 vessel perbath throughput capability, increase the efficiency of the pretreatment in the lab. 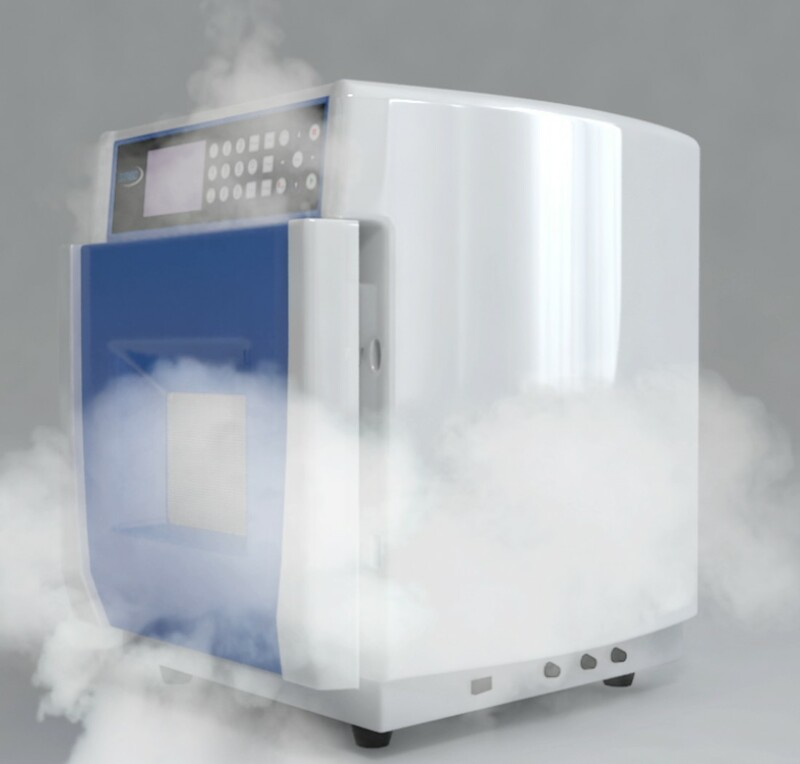 □ The patented design that the whole set of digestion vessels inchamber always continuous rotates in one direction, breaks conventions of<360° back and forth rotation of the digestion unit, avoiding uneven heatingon vessels by microwave and reducing impact on turntable motor, extendingservice life. □	The new digestion, changing its traditional bulky appearance, usesEuropean industrial design, colorful and smart, that in line with the needs ofmodern laboratory building. It re-layout its internal structure morescientifically that it reduces the volume of the machine while providing 42L reactor chamber to ensure uniformheating of the microwave and convenient operation. □	Sturdy and durable industrial-grade chamber design strengthen its impact resistance; Professionalfocused microwave design make microwave heating more efficient; Multi-layerchemical resistant coating greatly improves the service life and safety of thesystem; the popup cushioning explosion-proof sliding chamber door builds apassive safety protection system, easing operation; double-locked self-checkingsystem of the chamber door and the push-type open-door mechanism at the topmake the operation simple and easy; efficient exhaust system design achievesfast and safe air-cooled cooling (20 min cooling from 200℃ to 60℃), improving operational efficiency. □ Jupiter series have many advantages: safety external PC control; friendly windowsinterface that is easy to be operated; display digestion temperature, pressureand changes of microwave transmit power in real time; directly display itsworking process; through computer'sremote control station, do operations such as setting, running, change time andpower etc; the software can save unlimited amount of digestion solution, makingit convenient for users; the user-friendly software operation like a chemist,who help you complete various operations, providing customers with safe,scientific and convenient operation experience (color software and computerconnection are for Jupiter-A). JUPITER-A apply JSs software. 5 inch color screen display, USB connection, can save unlimited amount of digestion solution. 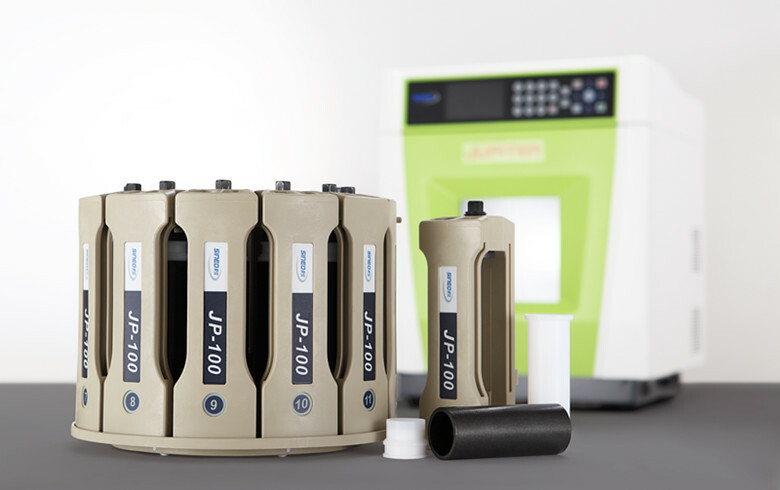 Standard configuration: 10 JP-100 ultra strength closed vessels with outervessels and frames. 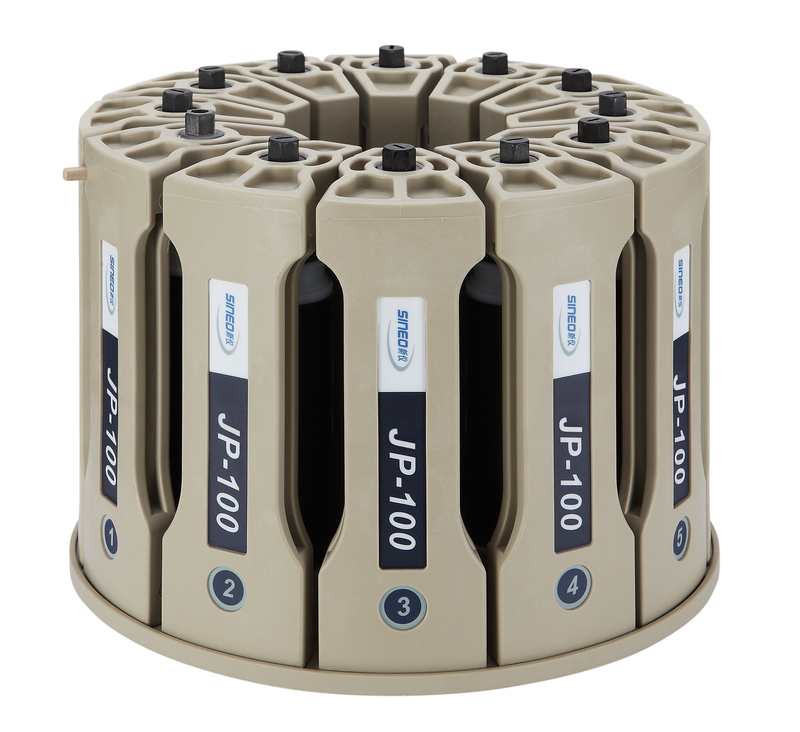 Optional configuration: 12 JP-100 ultrastrength closed vessels with outervessels and frames. Foodand drug (milk and dairy products, health food), cosmetics, agricultural andsideline products, aquatic products, biological tissues, various types of feed,energy and petrochemical, geology and mineral resources, environmentalresources (air, water, soil), metals, alloys, ceramics, RoHS, medicine,domestic wastes.